Fine views from Mumbles Hill. 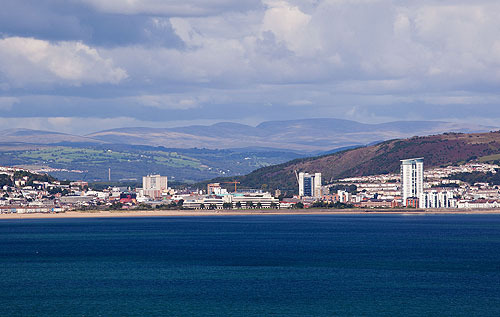 One such view over Swansea Bay . The Carmarthen Fans - Black Mountain -(Y Mynydd Du ) - are in the distance.